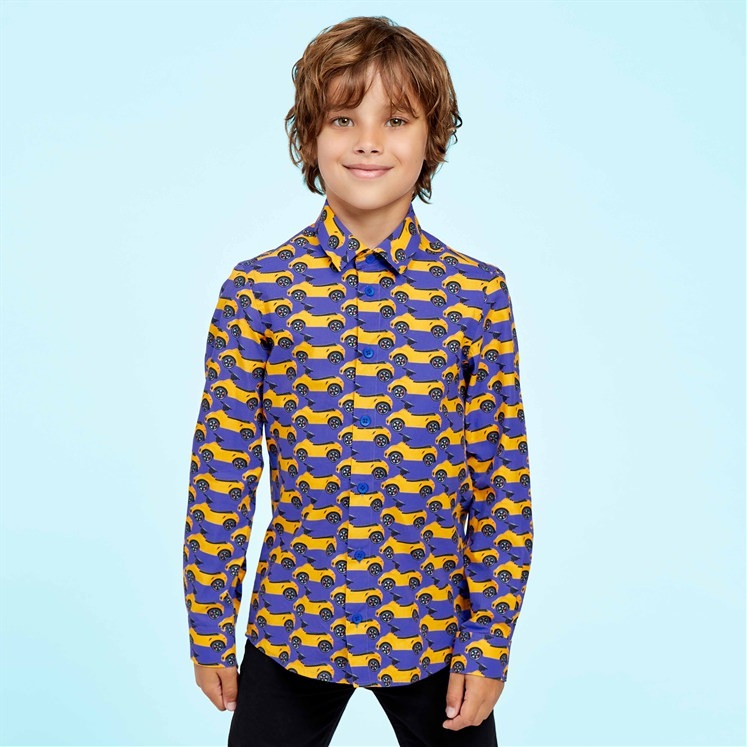 Kids long-sleeved, slim fit printed shirt. 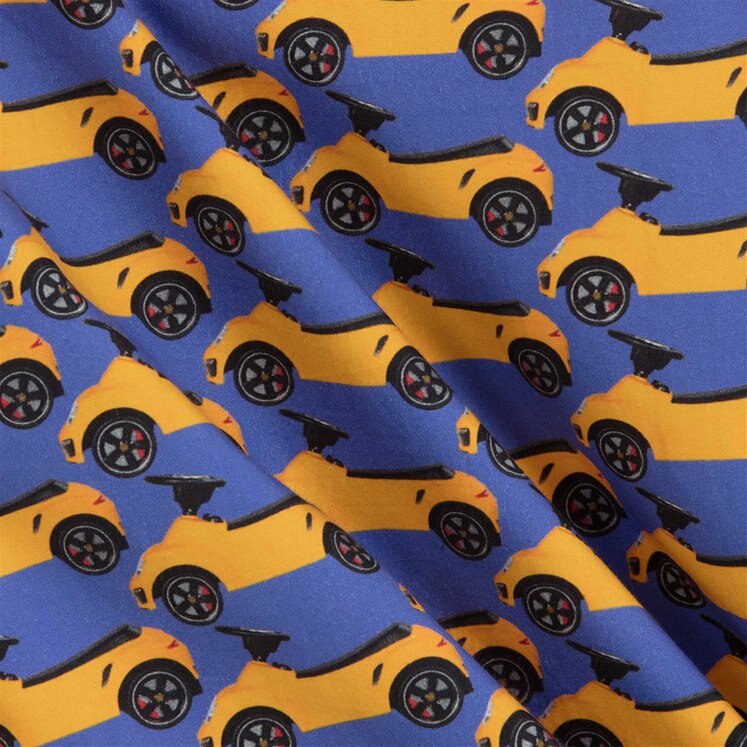 Blue with a repeated yellow car design. 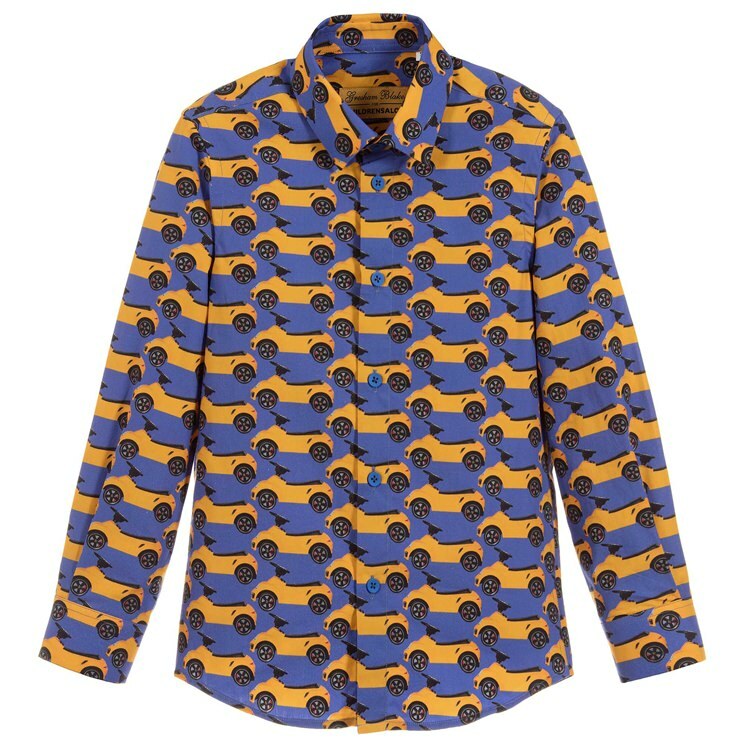 This shirt is part of an exclusive collaboration with Gresham Blake & Childrensalon.